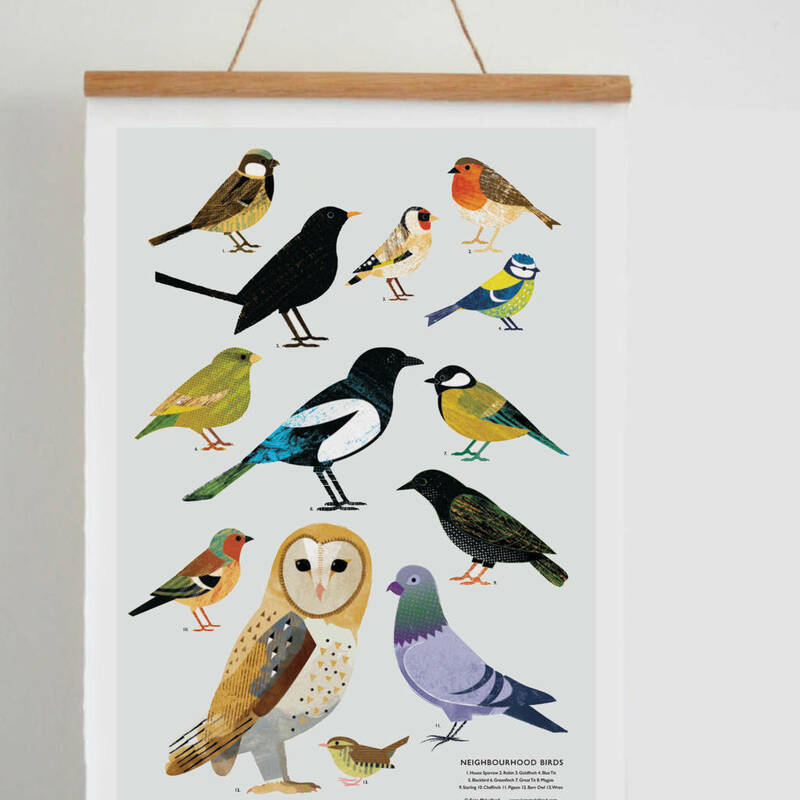 A beautiful print featuring some of Britain's favourite birds. 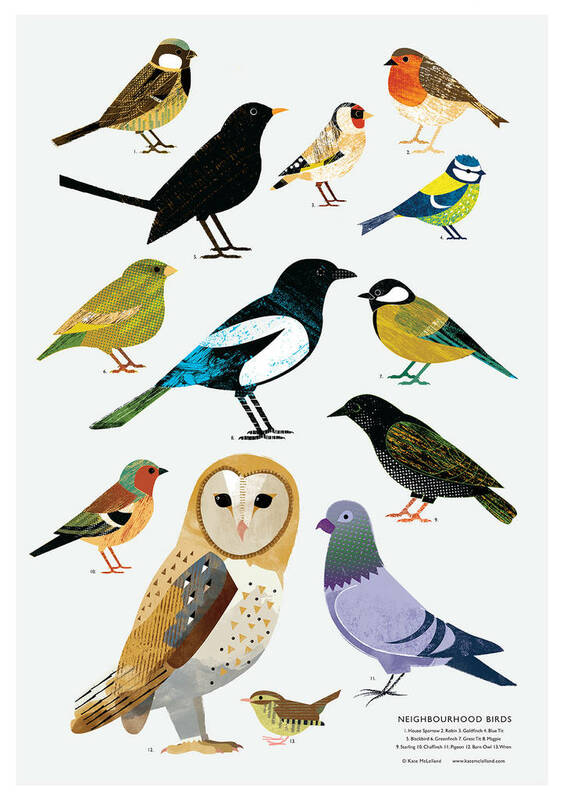 This print details some of my favourite neighbourhood birds and is available in A2 or A3. 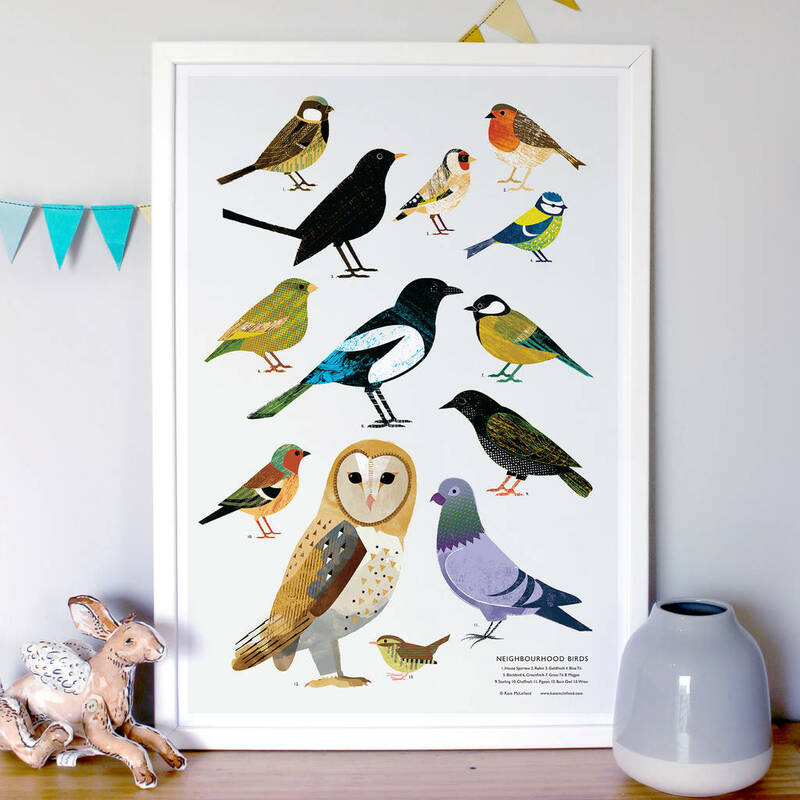 Perfect for children starting to spot birds, or for adults who simply love illustrations of birds! 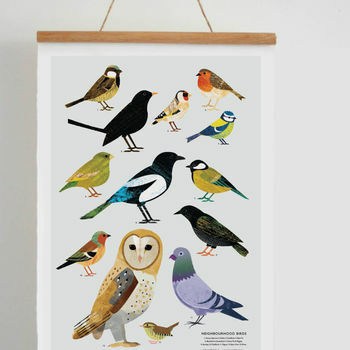 This product is dispatched to you by Kate McLelland Shop.